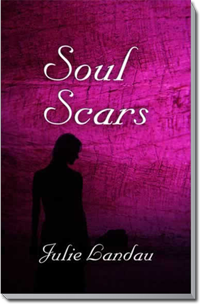 Soul Scars is the story of Katie Lansing, a young woman whose Christian faith feels like it crumbles out from under her when she is kidnapped and faces prolonged abuse at the hands of Richard Carran. Carran’s sadistic ways, threats, and control of her whittle away at Katie’s self-worth and lifelong trust in the Lord. She cannot understand why God would allow something so horrible to happen to her. Feeling abandoned by God, Katie questions His goodness and even His existence. Even believers face hard times, such as divorce, death of a loved one, severe illness, assault, poverty, or persecution. We all want to know why God allows such things. We believe it will be easier to face the difficulties if we could just understand the reason behind them. However, the truth is, God may tell us and He may not. Because of the existence of sin, we will not be perfect and neither will our lives in this world. But we have the hope and promise of eternity with God. This life on earth is a time of learning about and loving our God, as well as bringing glory to Him and inviting others to know Him as well.